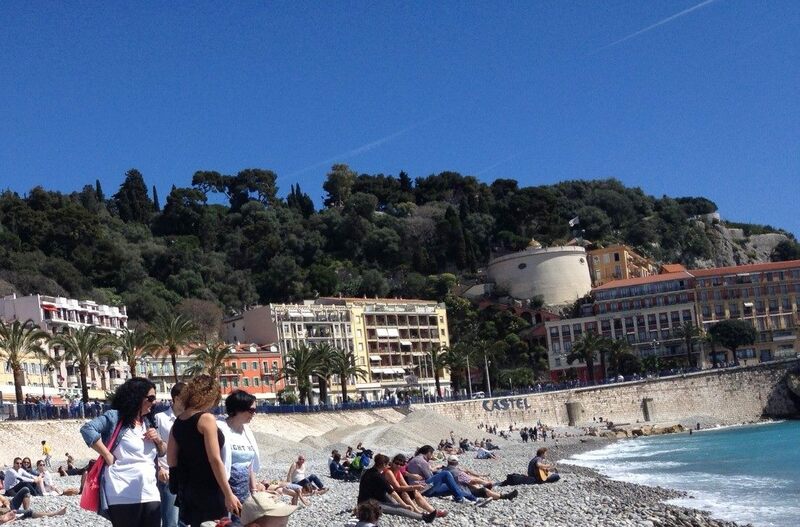 The beach in Nice before the attack. What happened on the Promenade des Anglais in Nice last week makes me so, so sad. The talk about terrorist attacks is always in the background of our lives -- it's always there -- but that doesn't mean that it isn't shocking when something like the attack on July 14 happens. 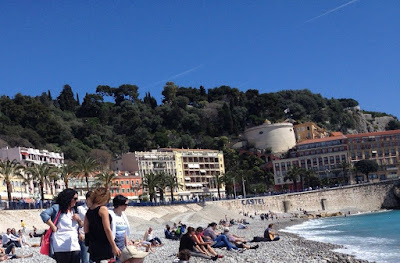 That day, my husband was still in Nice. He had told me that he was going to the fireworks that night. We'd been communicating over the computer. He'd said he was going on his own (No kids to look after!) and he'd said that he loved us. Luckily, the wind was blowing that day and when he stepped out of the house, he decided that it might be too windy for the fireworks. He'd stayed home. I didn't know that, however, until I found him 45 minutes after I first heard about what happened. At first, I'd thought I was just trying to find him after that truck drove through the crowd of people watching the fireworks, that I was just checking to make sure he was OK, but when I finally did find him, I realized how scared I'd been. I'm sure it was far, far worse for the people who were actually there. One of them, the best friend of our 1 1/2-year-old daughter (who is the same age), had just crossed the street to the other side of the Promenade des Anglais with her family as the truck passed by them. They said everyone around them then started running. I spoke with CBC TV about my experience last week. (story starts at 2:13) As I said, I'm sure it was far worse for anyone who was there or for anyone who lost a loved one. But it was still a big scare for our family. Whether you're religious or not, there was a nice line in a story in Nice Matin, the local newspaper in Nice, that said that in the bloody bay, 84 angels (10 of them children) had died. (The number is now 85.) In French, that area is already called la Baie des Anges (the bay of angels). (Note: I don't think I'll ever be able to separate that name from what happened. Posted by Kerry MacGregor at 5:23 p.m. Anonymous July 24, 2016 at 4:18 p.m. So glad to hear all is well. It's saddening to see what's going on in the world these days. Kerry MacGregor July 27, 2016 at 2:10 p.m. I agree! The news is nuts these days.